If you enjoyed last night’s Flyers-Sharks game and doubleheader on NBC Sports Network, you’re in for a treat, as the network is adding seven games down the stretch, both for doubleheaders and new hockey nights we haven’t seen before. All the games take place at 10:00 p.m. ET or later, five of which are airing after already planned games, giving NBCSN a total of 12 doubleheaders to finish the season, the most in NBCSN/VERSUS/OLN history. Four of the games are being simulcast from CSN California, while the other three are picked up from TSN. The Sharks (four games) add the most appearances out of this boost, while the Canucks (three games), Ducks (three games) and Kings (two games) also get a boost. The following is the NBCSN schedule for the nights these games are being added. Bonus games are italicized. Now here’s another interesting way that college hockey is different from the professional game: a 10 p.m. ET game out-drew a 7:30 p.m. ET game Friday night on NBC Sports Network. The Denver/North Dakota night cap on NBCSN drew 86,000 viewers on Friday night, for a game that started at 10 p.m. ET. Not only is that better than the game that aired before it, it’s the top college hockey numbers for NBC this season, according to the numbers I’ve found throughout this season. North Dakota is an extremely well known program as hockey schools go, so this is no surprise. The aforementioned early game, Boston University vs. lowly Vermont, was less impressive, scoring 38,000 viewers. Curiously, a Hockey Day in America that started out with 1.9 million people spread out watching three games across this country dropped to extremely low numbers towards the end of the celebration. 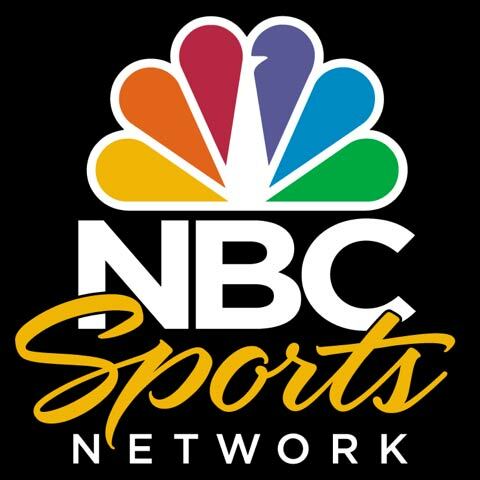 The Devils/Canadiens game on NBC Sports Network, which followed NBC’s doubleheader and was very well-promoted during the Bruins/Wild Game of the Week on NBC, drew just 203,000 viewers, fairly low numbers for NBCSN. To be fair – as I always am – New Jersey isn’t exactly a heavy hitter on TV (see below) and the Canadiens don’t have a US home market to draw upon to boost figures, but the lack of crossover between NBC and NBC Sports Network is a bit depressing. Maybe people were just all hockey’d out. To improve next year, make both teams playing in the NBCSN late game American-based, and promote it more as part of the whole Hockey Day package. Devils-Habs was often promoted separately from Hockey Day. The number is part of a larger slump that NBC Sports Network has seen in February. Aside from the Philadelphia/Detroit game, which hit the second highest figures of the year on the network, there have been some lower scores. Four of the 10-least watched games this season on NBCSN came from February, the most since October, which also has four. The week following Hockey Day didn’t exactly pick things up. Monday’s Caps/Canes showdown, blacked out in Washington, drew just 171,000 viewers. The following nights Red Wings/Blackhawks rivalry game, which was blacked out in both home markets, drew 228,000 viewers. However, most embarrassingly perhaps was Wednesday night’s Kings/Avalanche game, an uncompetitive game that was seen by a mere 166,000 viewers, despite the fact that both local markets saw the games. The numbers for Sunday’s Chicago/Anaheim game were unavailable, but Monday night’s Devils/Rangers barnburner, which featured just 28 total shots between the two teams, drawing 287,000 viewers, still not exactly big stuff. Hopefully the network can improve with the Penguins playing tonight, the Flyers/Caps showdown Sunday, and better match-ups coming through as they season rolls to a close. *-was blacked out in one or both of the home markets. It’s always really easy to pile on the nice folks at ESPN and their treatment of hockey. You know why? Because ESPN are heroes. They are truly not afraid to do anything that will piss people off who criticize them for having a narrow view of the sports world that does not include any of the networks that they are in bed with financially, which does not include hockey. A lesser network would have standards and think “You know, just because we don’t have a contract for hockey, doesn’t mean we have to treat it like a third-class citizen and every turn.” But ESPN is truly the behemoth of the sports television industry, so they don’t have to act that way. Therefor, it comes as little surprise that when the NCAA Tournament television schedule was released on the organization’s website, a grand total of one game will air outside of ESPNU: the tournament championship game on ESPN2, which had been on ESPN every year since at least the lockout. Four games will be syndicated on various regional sports networks, all regional semifinals. All of the regional finals, and the national semi-finals, will air on ESPNU. ESPN2 will air the title game. In addition, the selection show, which had aired on ESPN2 every year since the lockout, will air on ESPNU. So it’s hard not to look at this as a total demotion for the sport. Oh well, I’m sure that whatever is on ESPN that Saturday night will be fantastic.Because ESPN is truly the class-act of the sports television industry, which is why they can make decisions like this. Anyway, here’s the schedule. Let’s all do our sighing in the comments. New York – February 27, 2012 – Bob Costas, a 22-time Emmy Award-winning journalist and one of America’s preeminent interviewers, premieres his 60-minute interview show Costas Tonight on Thursday, March 1, 8-9 p.m. ET on the NBC Sports Network. In his first edition of Costas Tonight, which originates from Studio 8G at 30 Rockefeller Plaza, Costas will discuss the key topics in the NHL with Commissioner Gary Bettman, and the state of the NBA, including the Jeremy Lin phenomenon, with Commissioner David Stern. In addition, Costas will interview the five-division world champion, current WBC Welterweight Champion and undefeated 42-0 professional boxer, Floyd Mayweather, Jr., about his preparations for his May 5 bout against world class fighter Miguel Cotto. Thursday, March 1 – 9 p.m. and 11 p.m.
Friday, March 2 – 2 a.m., 9 a.m., 5 p.m. and 11 p.m.
Saturday, March 3 – 8 p.m.
Sunday, March 4 – 10 p.m.
Costas Tonight builds on Costas’ long and storied career as an interviewer from Later with Bob Costas and Costas Coast-to-Coast to his acclaimed HBO programs, On the Record and CostasNOW. This week’s edition of Costas Tonight will be taped tomorrow in Studio 8G, the home of Football Night in America. On Thursday of Super Bowl week, the live town hall Costas Tonight: Live From the Super Bowl debuted. The two-hour live program in front of a studio audience from the Indiana Repertory Theater featured some of the NFL’s biggest newsmakers and stars, including a one-on-one interview with NFL Commissioner Roger Goodell. The Costas Tonight: Live From… series continues on Wednesday, April 4, with a discussion of the state of college athletics before a live studio audience at 30 Rock. The next Costas Tonight interview program will be Thursday, May 31. Yesterday was exhausting. I mean, I’m writing this at the end of what is now yesterday, and you are seeing it today, but just trust me, I will still think that yesterday was exhausting when you’re reading this. I didn’t even do anything. I’m not really a general hockey writer, I wasn’t covering a team, and the team I root for was unlikely to make a deal. It’s just… guys, we gotta’ cut an hour or two from these trade deadline shows. Go on the air at 10 a.m. ET, or 9 a.m. ET. Just… NEVER AGAIN at eight in the morning. I’m begging you, don’t you dare do this for the free agent frenzy. How do actual broadcasters and crew members who are working get through this? Anyway, enough about my complaints in terms of the length of the actual day. Let’s talk about the two networks of record covering trade deadline day, TSN and Sportsnet. I was able to flip between both for a good chunk of the day, thanks to Sportsnet streaming online and TSN airing on the NHL Network (except for when NHL Net decided to foolishly cut in and talk about trades that had happened hours ago) I was all set. Overall, everyone on these two sets are the best at what they do. They’re on top of trade and player signing news as well as anybody. There’s really no complaining to be done in terms of actual reporting, everyone got the news to you in a relevant amount of time when something had come up. There wasn’t something being reported on Twitter and not being announced until 10-15 minutes later. All the personalities on both shows are great too. James Duthie is the best studio host in the business, and Darren Millard is not far behind. I had people that I’m friendly with at both networks, and there wasn’t anyone that really got on my nerves all day. Especially terrific? Billy Jaffe at Sportsnet and Ray Ferraro on TSN. Both are often brutally honest, whether on the positive or negative side of a move or a player, and both always come with their facts straight, and without any nonsense. The graphics on both shows are largely the same, as well. Both had a countodwn clock, a Twitter tracker showing off tweets with the two network hashtags (#SNTrade and #Tradecentre). Both had a sidebar showing off players who could be dealt and their various statistics. Really, when it came to presentation, there wasn’t too much different between TSN and Sportsnet. A desk with a host and analysts? Check. A desk with a host and insiders breaking treads? Check. A desk with a bunch of reporters sounding off? Check. Reporters set up in the important (read: Canadian and Columbus) cities? Got it. When it comes to declaring a winner, you have to look at the one category where the two networks really hit a fork in the road and took two different directions: filler material. Boy, was there ever a lot of this needed on a day when there were only a half-dozen or so trades by 2 p.m. ET. This is where TSN chose to be intentionally silly, in my opinion, and Sportsnet chose to do things that were… actually fun to watch. Where Sportsnet probably wins the day overall was with one feature… the GM room. The premise, if you didn’t see it, is host/Canada’s Most Famous Vegan Jeff Marek and four former NHL general managers (Pat Quinn, Brian Lawton, Neil Smith and Doug MacLean) essentially sitting in a room and talking shop. There were intense debates about various potential trades, including what each would hypothetically offer for various players, there were many cracks at each GM’s past in the league. It was exciting, compelling television for a bunch of guys sitting around an awesome, hockey rink-shaped table that I want in my house now. It was all the fun of speculation, but backed up by the substance of a bunch of people knowing the inner workings of, and taking us into this weird little world that most hockey fans only inhabit a few days a year, and only from the outside at best. I would watch a weekly television show of these guys doing this, even if there aren’t any trades to talk about. It was downright exciting. This is not to be too harsh on TSN. They will still likely have the higher rated and more popular deadline show, and rightly so. They have McKenzie and Dreger and Duthie and Miller and Aaron Ward, five of the better people on Canadian television and hockey television at the moment. They deserve to be #1. But what Sportsnet did was make itself some noise on Monday. They made it clear they want the crown, and if they keep stuff like the GM room around, who’s to say in the coming years they won’t claim it for themselves? While NBC Sports Network will likely be giving a general look at the NHL Trade Deadline on NBC Sports Talk and their coverage of Devils-Rangers later tonight, the Worldwide Leader may beat them to the punch. ESPN.com will produce it’s own Trade Deadline show to wrap-up the day’s action. A source told me that the show will be taped around 5 p.m. ET, air in it’s entirety at some point on ESPN.com, and segments may be featured on ESPNews and SportsCenter. The segments will be hosted by John Buccigross, with ESPN.com writers Scott Burnside, Pierre LeBrun and Katie Strang contributing alongside analyst Barry Melrose. NHL Network will be producing a wrap-up show that will air in both the United States and Canada from their studios in Toronto at 6 p.m. ET, however, with NHL Network simulcasting TSN, ESPN’s coverage will be the only trade deadline-specific coverage produced in the United States.